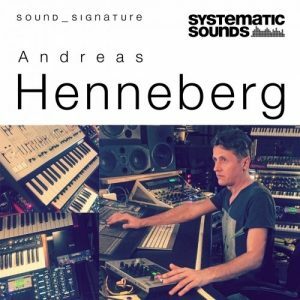 Systematic Sounds has released Andreas Henneberg Sound_Signature, a sample library featuring over 2.4GB of tech-house, techno and house samples and loops. Highlights of this bundle are bass, melo and fx recordings Andreas developed with his Arp Odyssey and Minimoog Voyager, plus the top-loops, which were made with the Jomox X-Base 09 and the Elektron Oktatrack. Including Ableton Live Racks, Apple Loops, REX & Sampler Patches.